Ever since their bold debut in 2007, Tim Be Told has continued to 'wow' fans and critics alike with their genre-bending artistry. Blending together a sound that encompasses a taste of rock, pop, soul, and gospel, their albums cover a considerable amount of ground, both melodically and thematically. Just as with their previous offerings, the band's third full-length studio release, Mighty Sound, does not fail to deliver. Mighty Sound comes nearly three years on the heels of Humanity, the band's sophomore effort. The past three years, as well as the time leading up to Humanity's release, have been wrought with trials. What had begun as a five-member outfit suddenly became two, and this, coupled along with serious health issues and legal struggles nearly prevented the release of Mighty Sound. However, their perseverance gave them strength to press on, and with new drummer Caleb Wu added to the lineup, frontman Timothy Ouyang and guitarist Andrew Chae were able to reach yet another milestone on the path of achievement. The album courageously opens with "Fools Marching," which highlights Tim Be Told's recent struggles, inability to see where God was leading them, and their desire to push through in spite of the pain and doubt. The anthemic line "If we hold on, and though we carry scars; God is with us marching through the dark" sets a bold tone for the album. It is followed by "Rescue Me," a jaunty little soul-based tune, one which the band clearly had fun writing and recording. Title track "Mighty Sound," is the next song to grace the disc, which it ever so passionately does. Amid the references to life, death, and suffering in a Solomonic fashion, hope rings through in the line "our sorrows never remembered as every knee falls to the ground. And a short life will make a mighty sound." "Just Say When," featuring Jinny Kim, is a beautiful duet about attempting to resolve a hurting relationship, and "Wasted," the album's first single, deals with questioning the end worth of our struggles: "Was it all wasted, all we did to survive? Or maybe God was listening to every single prayer that we cried." (Note: A beautiful acoustic version of this song is available to stream on Tim Be Told's BandCamp page.) "Lock the Door" is another one of the album's best tracks, as Tim is struggling to work out his emotions surrounding a failed relationship through a melancholy tune and the gloomy, heartfelt lyrics; "I wouldn't take you back if you were on your knees, anyway you would never beg." "Man Made Mess," "Your Love Is Bigger," and "Cover Up Your Scars" all deal with man's relationship with God, exploring how the Father understands our hurts and our failures, yet that His love is greater still. "Temple of Stone" serves as a scathing rebuke against churches who fail to accept sinners or believe that only certain individuals can come to Christ. Lines such as "raise up your kingdoms and thrones, turn the broken and the weak away. God is not in your temple of stone; He's the outcast of these walls you've made" cut deeply, yet are remedied with the closing line, "There is a kingdom and throne where the weak are never turned away, God is with the people who cry out His name." "Your Highness" is a solid love song that flies the colors of the band's soul/gospel origins and "Winners and Losers" is a powerful piece that explores how God's love is even for the 'losers' ("When we are shaken You are the mountain mover, and the losers become winners by Your dying"). Mighty Sound's brightest gem is found in the closing track, "Battle Hymn." Aptly named, this is a literal hymn, featuring four other distinguished artists. All of Tim Be Told's previous closing tracks have been ones for associated halls of fame, and Battle Hymn does not disappoint. There's really too much rich lyrical content to quote, but it closes off the album with the heroic resolution, "Hallelujah, yes the Lord will make a way!" This large-scale collaboration is a perfect conclusion to the story that has been echoed over the last twelve songs. 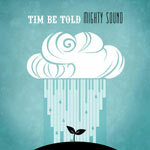 Over the years, Tim Be Told (derived from the expression "Truth Be Told," played off of Tim's name) has earned a reputation for taking an honest look at faith, God, and the struggles that followers of Christ can face. The band has had no easy walk in the park; this much is made evident through their music. But in spite of the fear, hurt, and even anger that bleeds through their lyrics, God is still God, and His love is greater than anything we may encounter. "Mighty Sound," "Lock the Door," and "Battle Hymn" are the most recommended tracks on the album. Perhaps this Mighty Sound falls slightly short of Humanity, but it is nonetheless one of the best albums of the 2013, and a great way to end the year.